July 28, 2011  Watch what happens when the celebrated cabaret artist sings Gershwin with a string quartet. November 17, 2010  Frank Loesser wrote the musicals Guys and Dolls and How to Succeed in Business Without Really Trying — in addition to over 700 other songs. 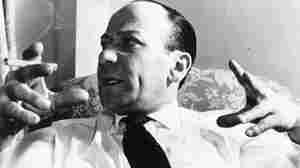 On today's Fresh Air, we discuss Loesser's musical legacy. 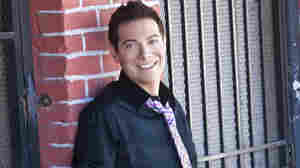 July 29, 2002  Pianist and singer Michael Feinstein. His repertoire is American popular song and he is a collector of vintage recordings and musical memorabilia. In the fall he plans to release a collection of radio duets by Bing Crosby and Rosemary Clooney, on his new record label Feinery. Feinstein released a new CD with the Israel Philharmonic Orchestra, Michael Feinstein and the Israel Philharmonic Orchestra (Concord). February 1, 2003  NPR's Scott Simon speaks with musician Michael Feinstein and Ray Evans, half of the songwriting team Livingston and Evans, who wrote such classics as "Mona Lisa," "Que Sera Sera," and the theme to the television show "Mister Ed," about a new CD, The Livingston and Evans Songbook. 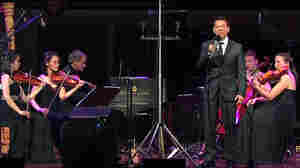 August 24, 2012  The week in classical music news from Pasadena to Berlin. October 13, 2012  The musician and educator spent six years as Ira Gershwin's cataloger and archivist. His experience forms the basis of a new book, The Gershwins and Me, in which he explores George and Ira's work and influence. December 24, 2010  Hear a special episode of Piano Jazz with holiday favorites and surprises never heard on the program before. 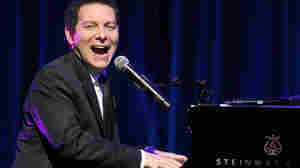 The pianist and singer Michael Feinstein, a consummate performer of the Great American Songbook, guest-hosts and plays a few numbers himself.